Few songs blend the Blues, pyschedelia and Hard Rock as well as Joplin’s over-the-top, emotional rendition of "(Take Another Little) Piece Of My Heart." It had been a very minor hit the year before for Erma Franklin, Aretha’s older sister, a work that earned her a Grammy nomination. But Joplin and her band infused it with a neurotic, manic energy that exploded pre-conceived notions of what a female Rock-N-Roller should or could be. It is more primal than can be imagined without listening to the cut. Joplin always came across as a raw wound, but on "Piece Of My Heart" she is dripping, oozing and slipping in her own blood, sweat and tears. This is pain in the rough. And it is detailed, visceral pain. Through the details and the power of the singer’s voice, it rises to the universal. All broken hearts at some point feel as if the pain is too awful to go on. 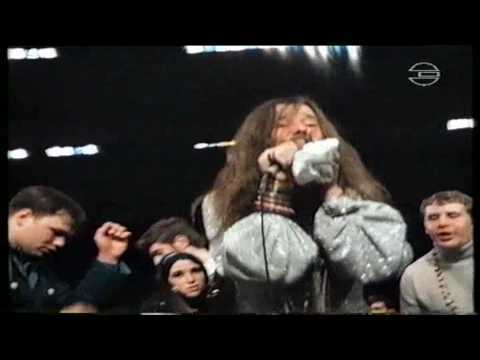 Listen to the whole "Piece Of My Heart"
Sam Andrew, ringmaster of Big Brother and the Holding Company, created the unusual jagged-edge arrangement that ended up being so suitable to Joplin’s voice and psyche. Additionally, Andrew is responsible for three absolutely searing guitar solos that lift "Piece Of My Heart" from its natural pathos into an anthem of challenge and defiance. 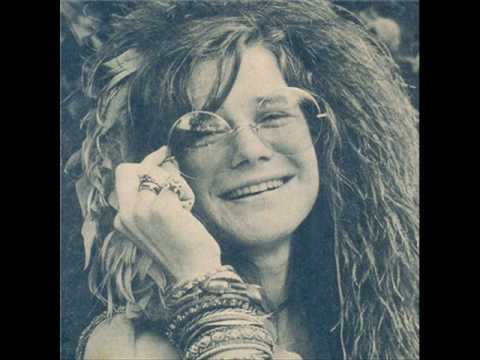 The guitar work drags Joplin’s voice, no mean instrument to begin with, up and up, the singer having to meet the gauntlet thrown down by Andrew. "Piece Of My Heart" and the album it is featured on, Cheap Thrills, were produced by John Simon. Simon also produced The Band’s albums Music From Big Pink and The Band. "Piece Of My Heart" brings us no closer to understanding the process of pain felt through warped love, but it definitively allows for a forceful catharsis.